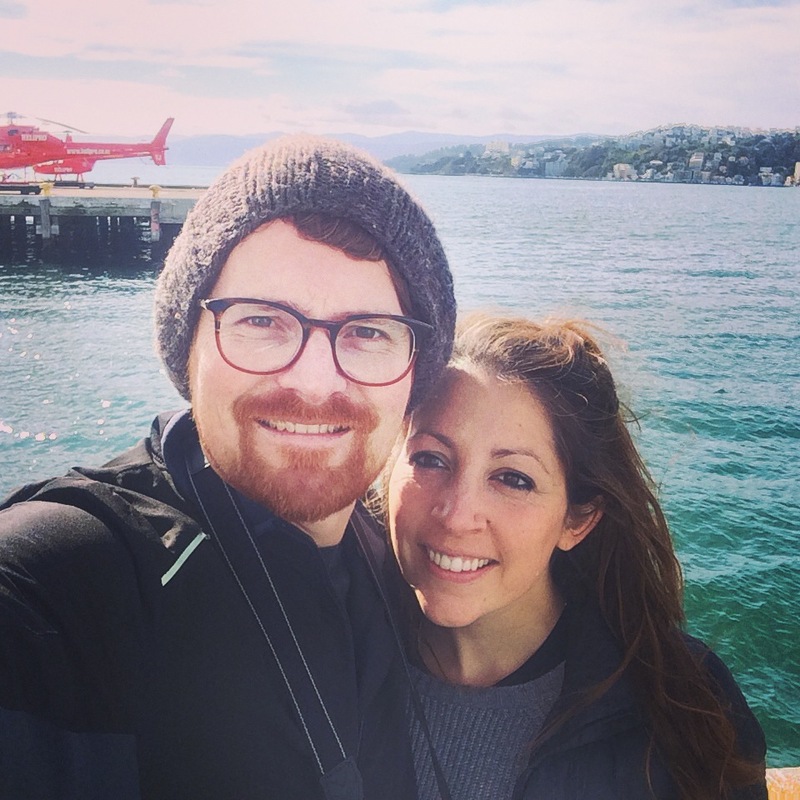 As much as I hate the term “babymoon” as a term to describe a last-hurrah vacation taken before the arrival of a baby, I very much like the idea of it. And given that Al and I love to travel, it seemed obvious that we needed to do something kind of ambitious for our Last Big Trip Before Baby. After much brainstorming, we decided on New Zealand, mostly because it’s so far away, we couldn’t imagine doing it with a child in tow, and also because it sounded so awesome. I mean, anyone who’s seen The Lord of the Rings movies knows that NZ does not scrimp on impressive scenery, and if that’s not enough to convince you, try resisting the charms of the NZ tourism campaign posters from Flight of the Conchords! On September 20, we embarked on our three week odyssey to NZ, and it ended up being one of our most unique, fun trips ever. Three weeks is a long trip, and we saw a LOT of stuff, so I will break my post into two manageable chunks: the North Island and the South Island. We flew into Auckland (via Los Angeles and then Fiji, oof), where Al’s cousins Will and Gil picked us up from the airport. They moved from Scotland to NZ five years ago and live in a lovely, airy house in the far north of the city, in an area called Whangaparaoa. We stayed with them for a few days, adjusting to the radical time change (17 hours!) and eating home-cooked meals. 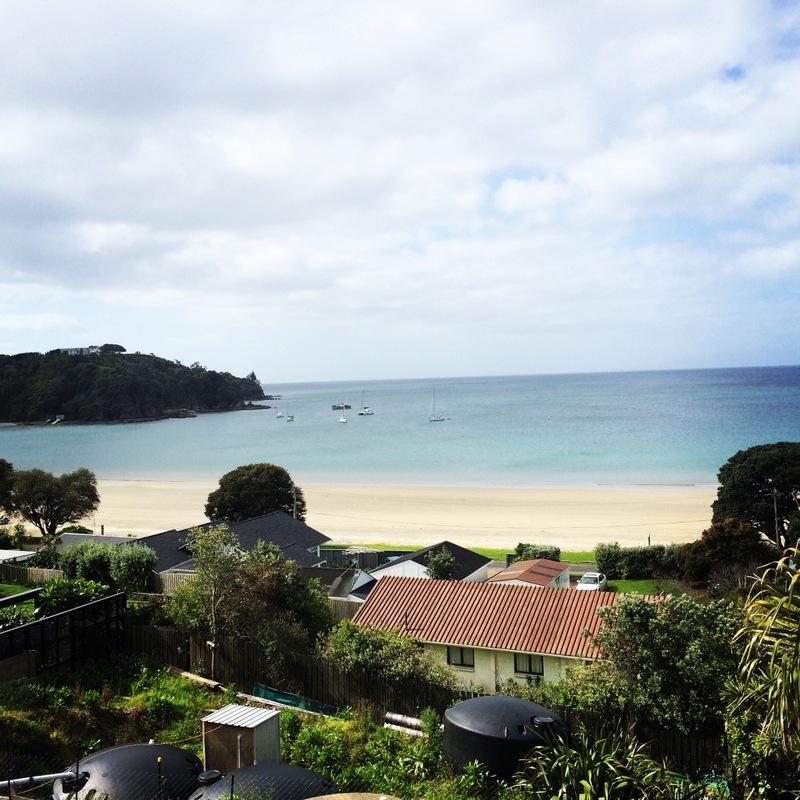 We also checked out pretty Waiheke Island, a short (but pricey) ferry ride away from downtown Auckland and home to a bunch of fancy wineries and olive groves. After a few days in Auckland, we were ready to pick up our transport for the rest of the trip: a camper van! When we showed up at the van rental place, bright-eyed and bushy-tailed, Al and I were both expecting to be shown to our huge, fully outfitted RV, in which we’d cruise around NZ like passengers on a luxury yacht, buffered from all the troubles and inconveniences faced by the lowly likes of common car travelers. I imagined laughing down at people in cars from my perch inside my Ashton Kutcher-style Windstar, where I’d drink artesian bottled water straight from my mini-fridge and flip channels on my satellite TV as Al drove. 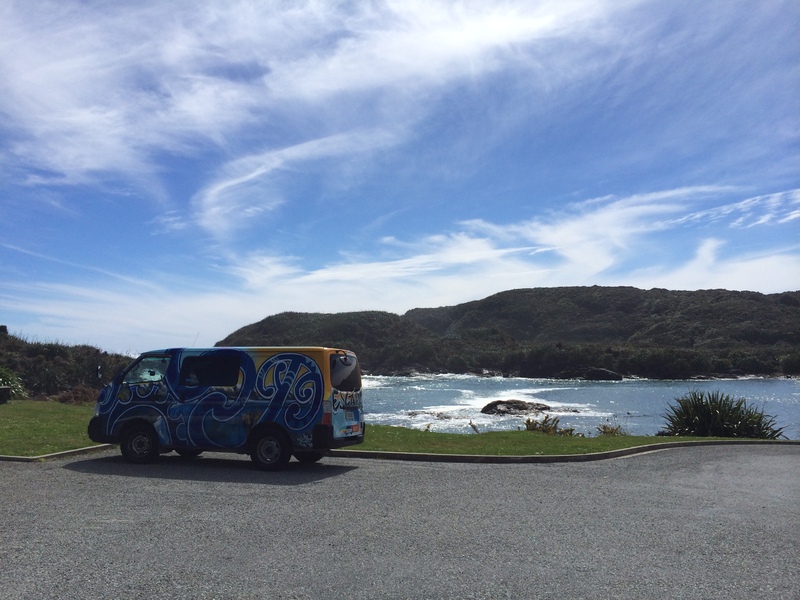 Never mind that the price quote we got for our entire three-week van rental was $500; I had convinced myself, against all reason, that we were going to be traveling around New Zealand like RV royalty. Imagine my shock when we were shown to our camper van, which was, in fact, just a regular old van. There was no TV, no reading nook, no bathroom. In other words, it was not at all what I had envisioned in my completely unrealistic fantasy. I was especially disappointed by the fact that our van did not have a bathroom, since, as a preggo, I have to use the facilities approximately every three minutes. But I tried not to seem as horrified as I was as we loaded our giant suitcases into our tiny, wheeled home and drove uncertainly away, trying to remember to keep to the left. Overall, the van worked out fine. Was it the most comfortable place to sleep, change clothes, and sometimes eat? No. But I did learn how to cook eggs on a camp stove situated inside a vehicle, and that’s a (probably dangerous) skill that’ll last me a lifetime. Our first stop after Auckland was Tongariro National Park, famous for its skiing and its views of Mt. Ngauruhoe, or, as it’s more widely known, MOUNT DOOM. We got to our campground in the evening, cooked a meal in the community kitchen, and went to sleep. The next morning, we went on a two-hour hike to look at some nearby waterfalls and ogle Mt. Doom in all its glory. It was pretty impressive. Then we packed up the van and headed to our next destination, Wellington. 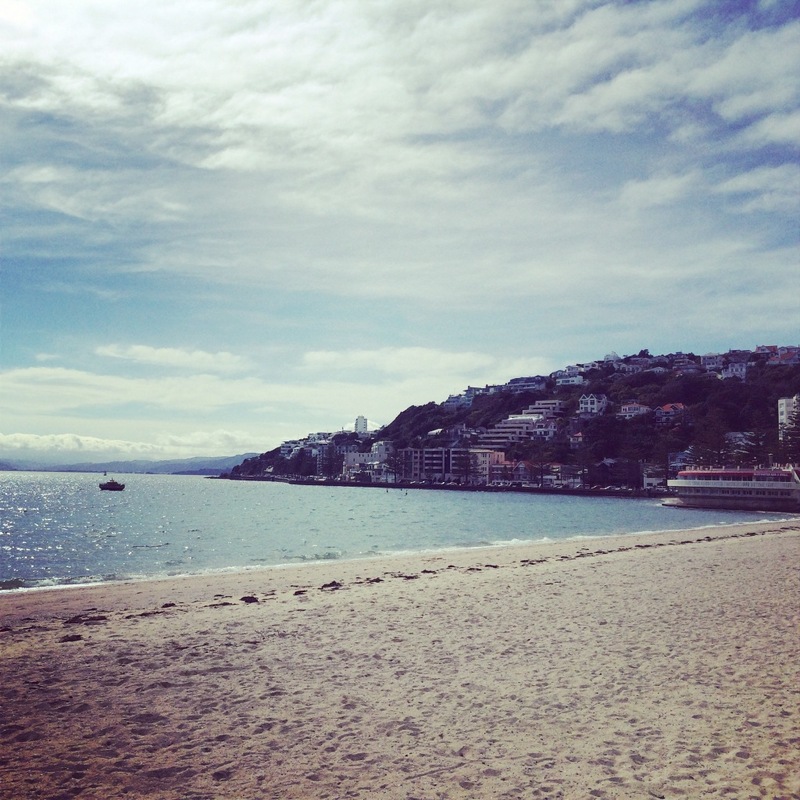 Wellington is the political capital of NZ, and is famous for its nightlife, food, and blistering winds. Something about Wellington’s position on the mouth of the Cook Strait makes it particularly susceptible to gale-force winds, and we nearly got our faces blown off while we were there. After we arrived, we ventured downtown, ate dinner at a Malaysian place, and checked out a craft beer bar, where Al sampled some of the local delights. The next morning, I went running along the waterfront and admired the views and Victorian houses, which give the place a San Francisco-esque feel, and then Al and I checked out the Te Papa Tongarewa museum and the cool public art down by the waterfront. Anyway, being the cheapskates we are (or at least, have become since finding out we’re having a kid), we decided to do Rotorua the free way, and check out a local public park, Kuirau Park, which has its own mud pools and bubbling lakes, rather than shelling out money for one of the expensive geothermal parks. 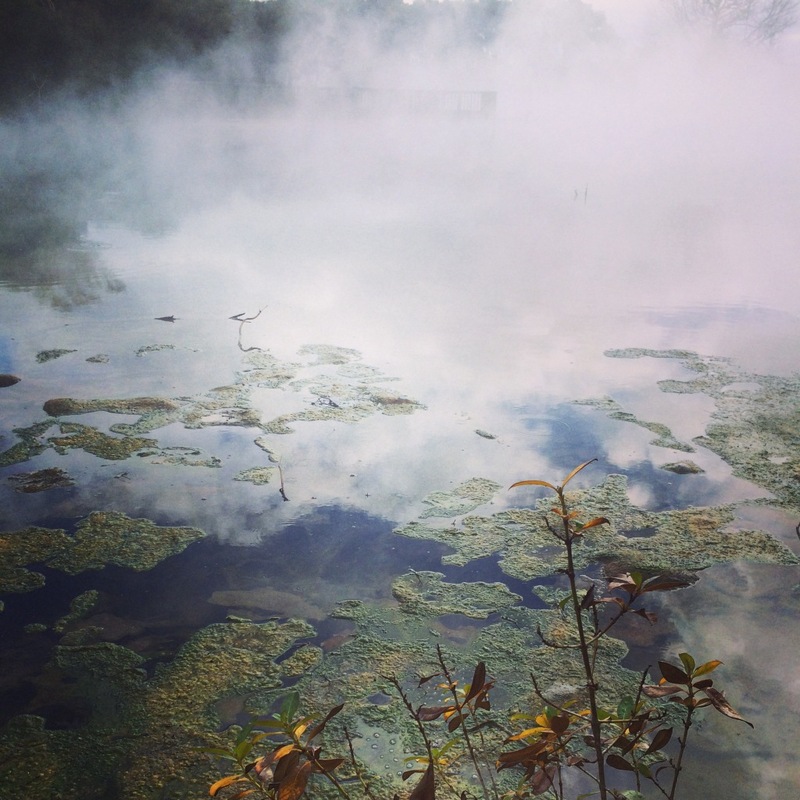 We wandered around the park with to-go coffees in hand and checked out the boiling mud pools and free public foot baths. 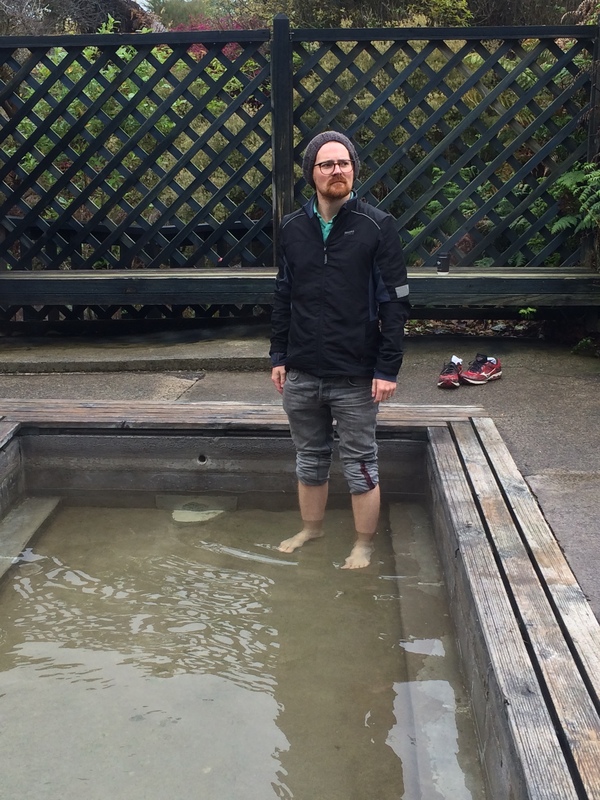 Al actually stuck his feet in the foot bath, but I, fearing foot-and-mouth disease, kept my shoes on. 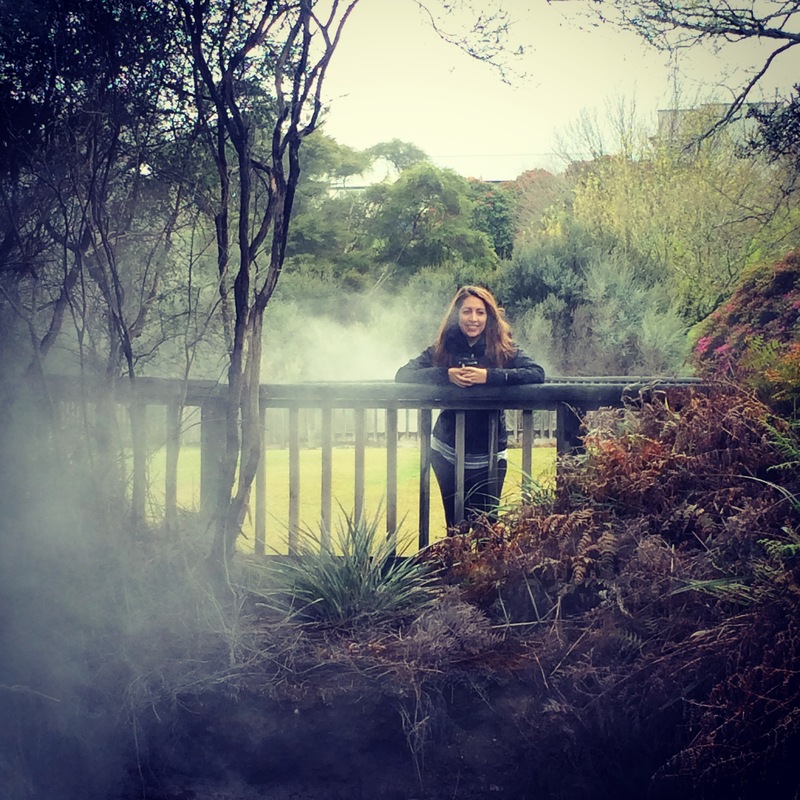 After seeing enough boiling mud to feel like we had done Rotorua properly, we got on the road back to Auckland. But along the way, we stopped at Hobbiton, where you can go on a tour of the preserved set of Hobbiton and The Shire from the Lord of the Rings movies. Of course, being us, we didn’t feel like paying $150 for the tour, so we got a bite to eat at The Shire’s Rest cafe, took a photo with the Hobbiton sign, and then left. I mean, a lot of New Zealand looks pretty much like The Shire (rolling green hills, sheep, blue skies), so I feel like we got the idea. 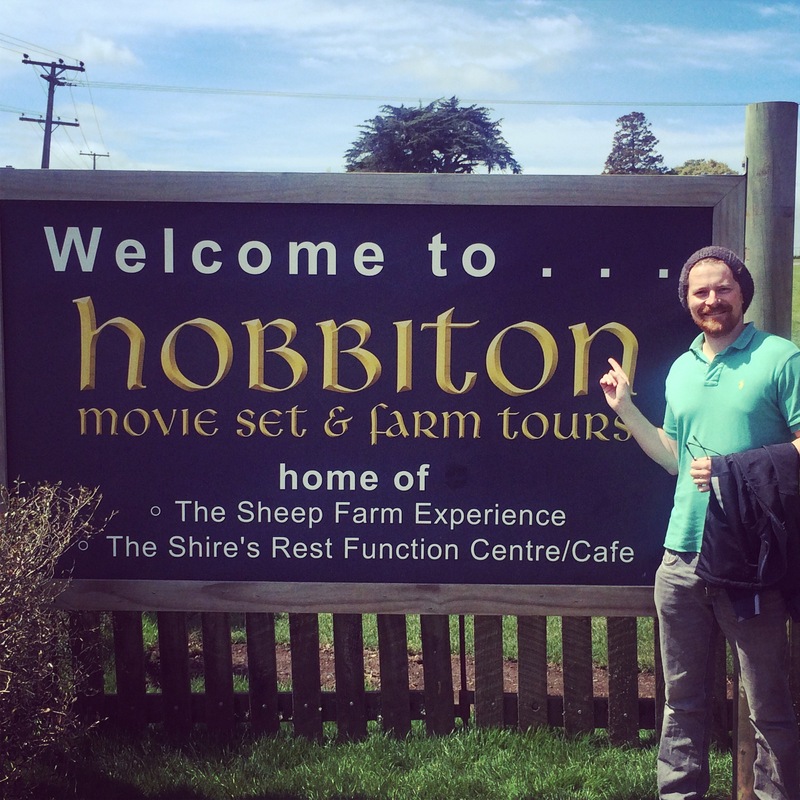 I am kind of bummed I didn’t get to step foot in a hobbit hole, but as I told Al, I would rather spend my money on New Zealand merino wool than on a tour of a movie set. Hey, I have my priorities straight. We came, we saw, we left. We had one full day left in Auckland before our flight, and we used it to go shopping for yarn (okay, that was just me) and to check out the Auckland Zoo. Our main goal at the zoo was to see a morepork (a small owl native to New Zealand and Tasmania) because we had become mildly obsessed with moreporks over the course of our three weeks in New Zealand. Why, you ask? First of all, the word “morepork” is awesome and I want to say it all the time. Second of all, moreporks are adorable, and everyone knows it. 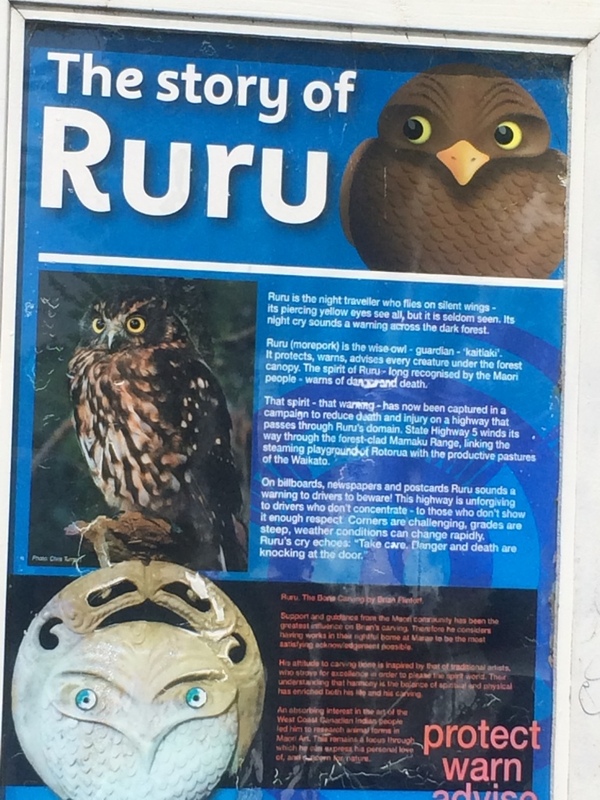 We even drove through an area of New Zealand in which the regional government had adopted a morepork-based PSA campaign, in which a cartoon morepork named RuRu (which is the Maori word for the owl) warns drivers to be careful in a variety of situations, including fog, rain, and snow. We thought it was so cute we stopped to take a photo of a sign explaining the campaign. Anyway, we were really jazzed on moreporks and wanted to see one at the zoo, but unfortunately, they’re nocturnal, and it was impossible to see anything in the zoo’s nocturnal exhibit (since it was, you know, pitch dark). We did see the outline of a kiwi bird poking around in the dark, we think, but that was about it in terms of nocturnal bird sightings. On the upside, we saw some seals and shags (cormorants) and blue penguins, so at least we got to view some native NZ animals. I still hope I get to see a real morepork some day. A girl can dream. Stay tuned for a post on our adventures on the incredible South Island! 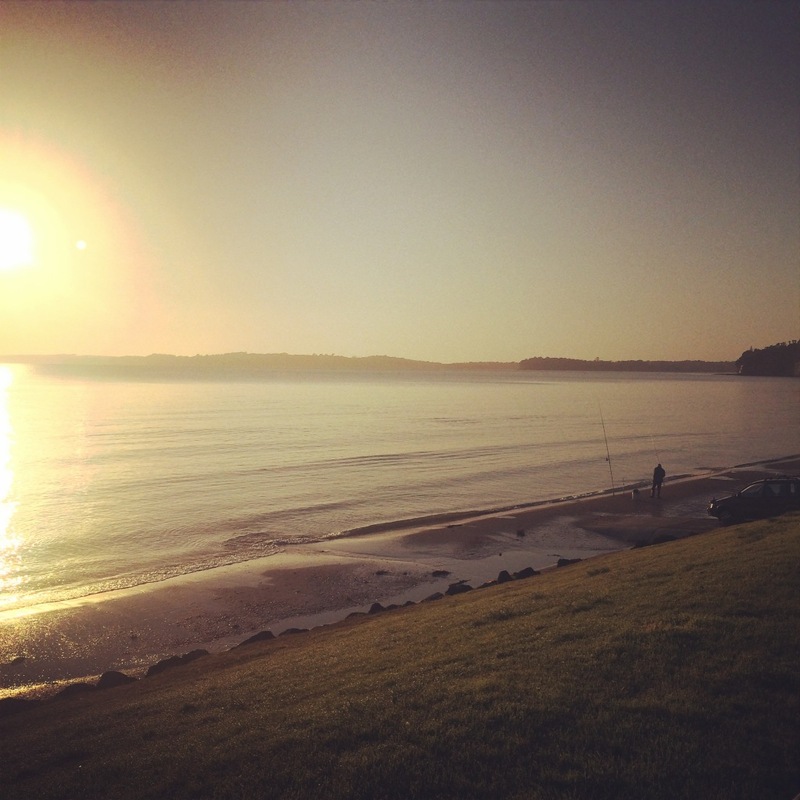 This entry was posted in Travel and tagged Auckland, Flight of the Conchords, Hobbiton, Lord of the Rings, New Zealand, North Island, Rotorua, Tongariro National Park, Travel, Wellington on October 15, 2014 by Stephanie.